It's too nice out there not to go play outside. So get out and enjoy it Alabama Farm Credit offers financing options for all types of rural recreational land during all times of year, from hunting areas to fish ponds to rolling hills just begging for some mag tires. Alabama Farm Credit offers loans for new and used farm and forestry equipment; irrigation and pivots; and tillage, planting and harvesting equipment. We know your business depends on having the best tools and equipment available, and we can assist in financing anything from a small tractor and rotary mower to a farm-wide sprinkler system. NOW YOU CAN RAISE THE STEAKS. 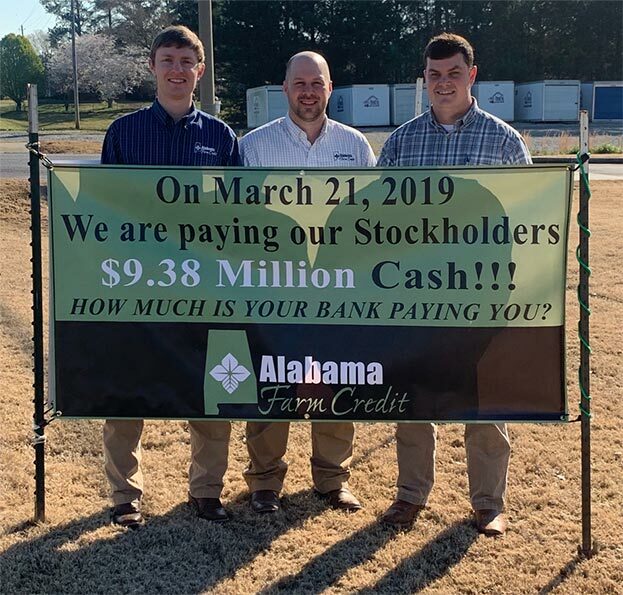 At Alabama Farm Credit, we finance all aspects of livestock production, including cow and calf operations, stockers, pasture improvement and maintenance, livestock facilities, grain storage facilities and general operating expenses. We're proud to serve the needs of Alabama's beef producers, for all they do to put quality food on our tables. Alabama Farm Credit offers financing options for all production costs for growing field and horticulture crops. We take a personal interest in each customer to meet their unique needs, offering loans for fertilizer, seed and herbicides; farmland purchase and refinancing; harvesting costs, pasture improvement and maintenance; grain storage facilities; and general operating expenses. Alabama Farm Credit understands the unique challenges and capital needs of poultry producers and can customize loan packages with flexible repayment terms for poultry farm purchase, poultry house construction, facility improvements, debt refinancing, equipment and machinery, operating expenses and operating lines of credit. Find your dream property. View our Bank-Owned properties for sale.